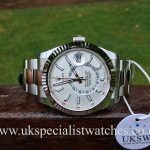 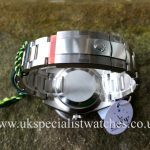 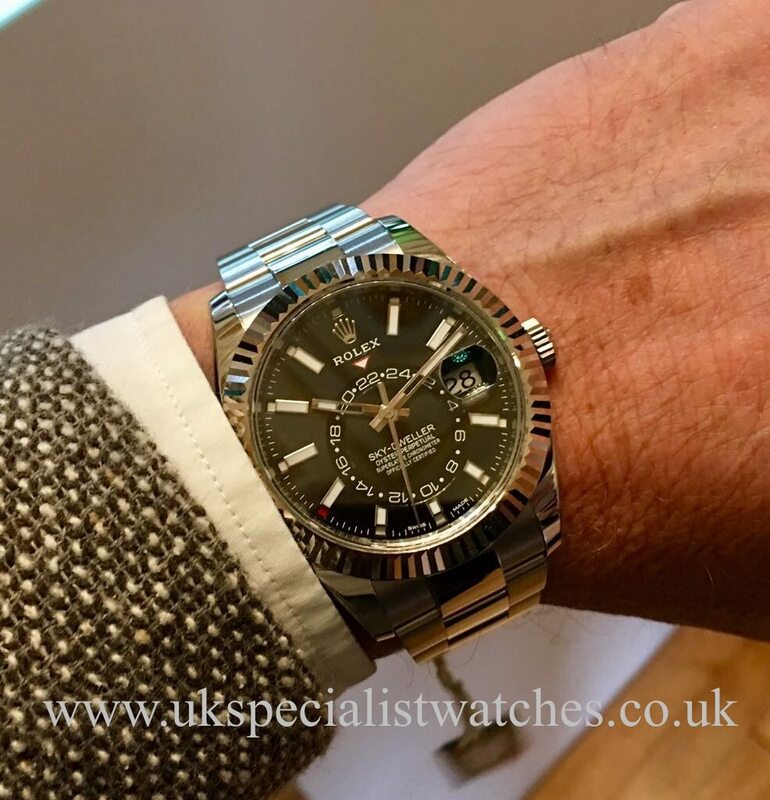 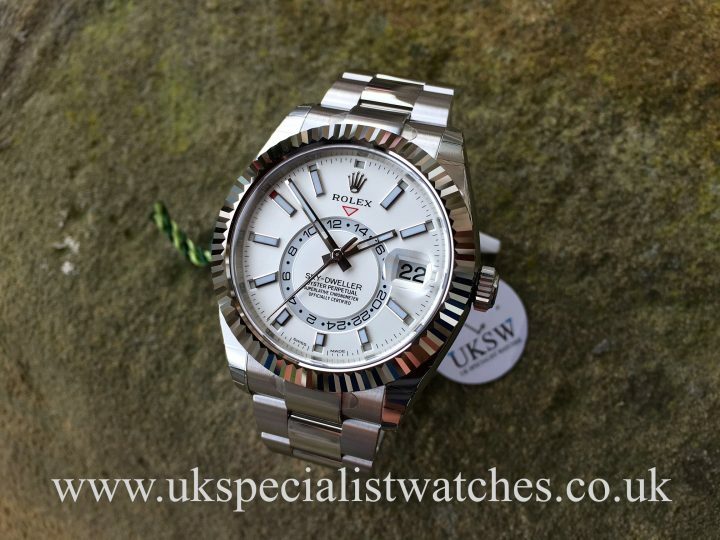 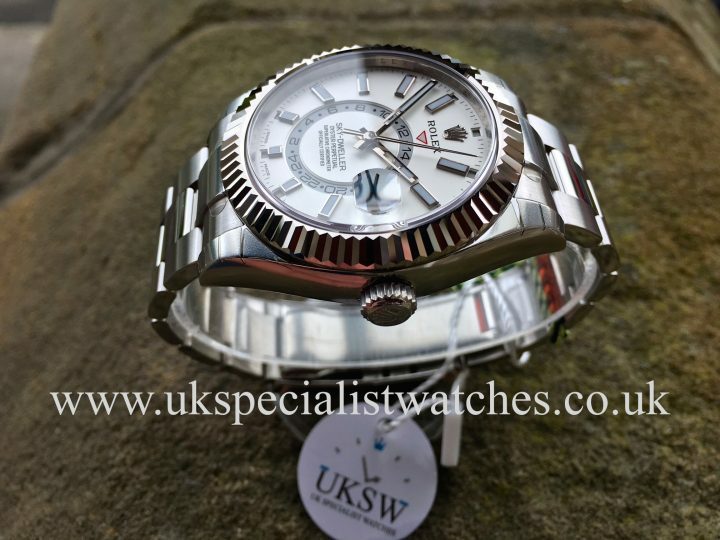 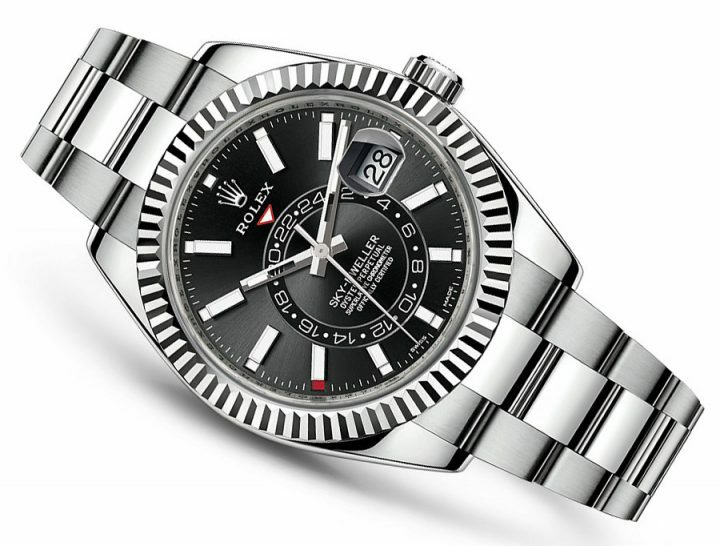 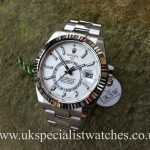 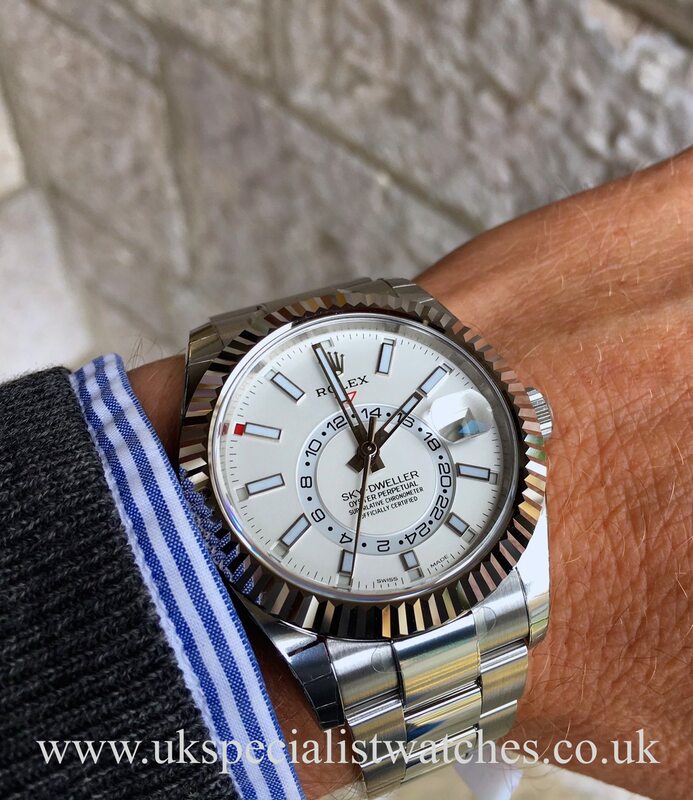 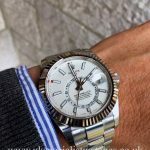 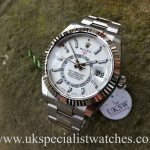 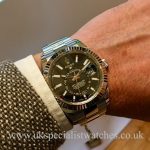 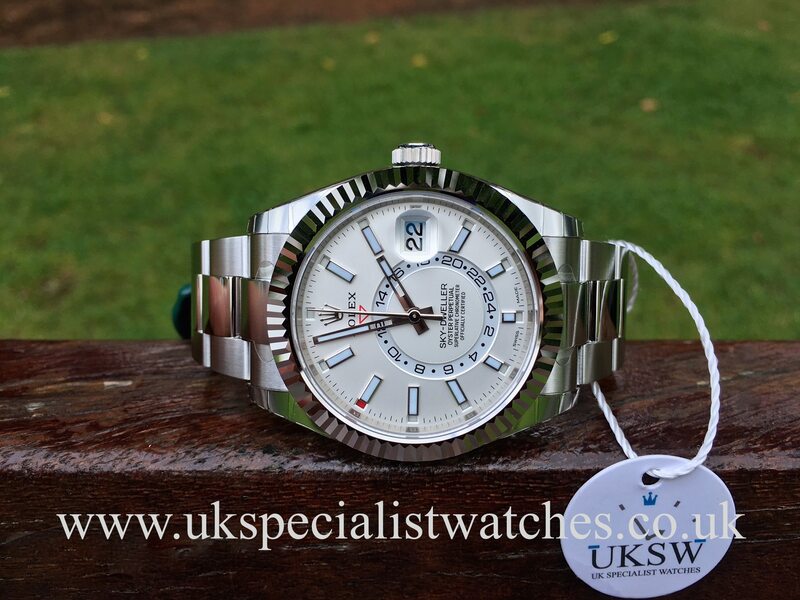 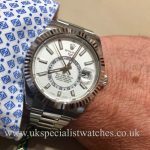 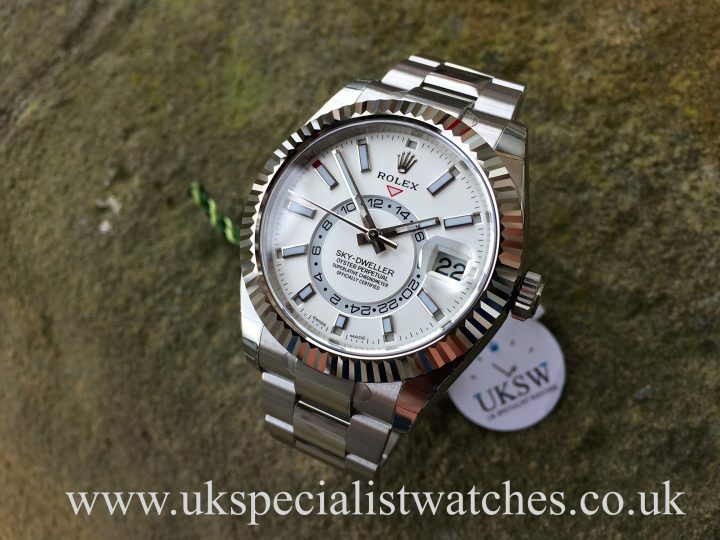 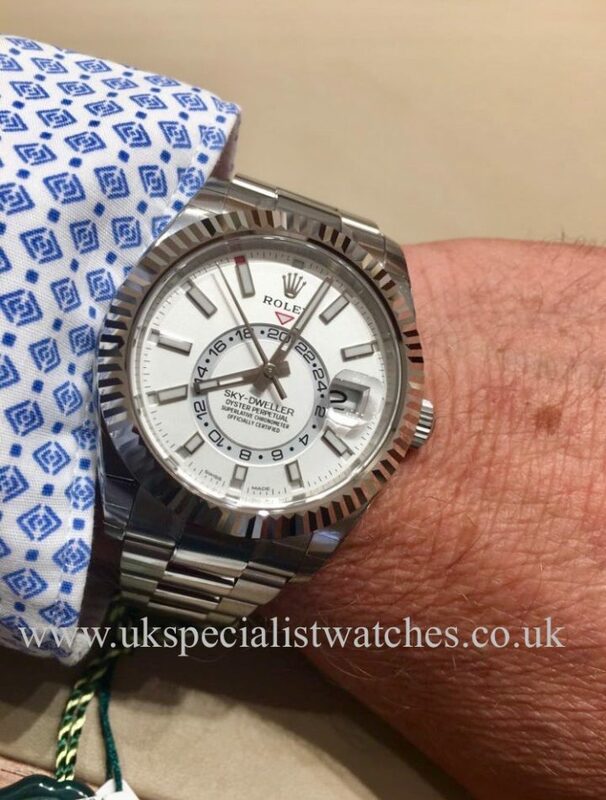 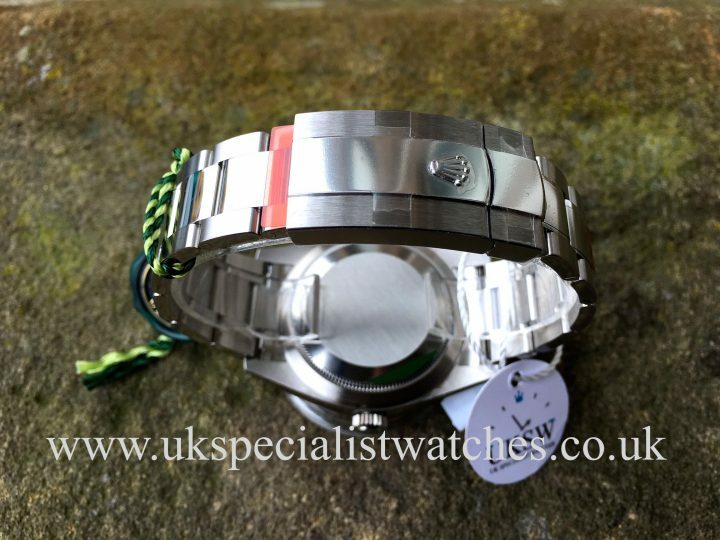 2017 Unworn Rolex Sky-Dweller with a 42mm stainless steel case, solid 18ct white gold fluted uni-directional bezel, white dial with white baton hour markers, Sapphire Crystal glass. Stainless steel oyster bracelet with double folding clasp. 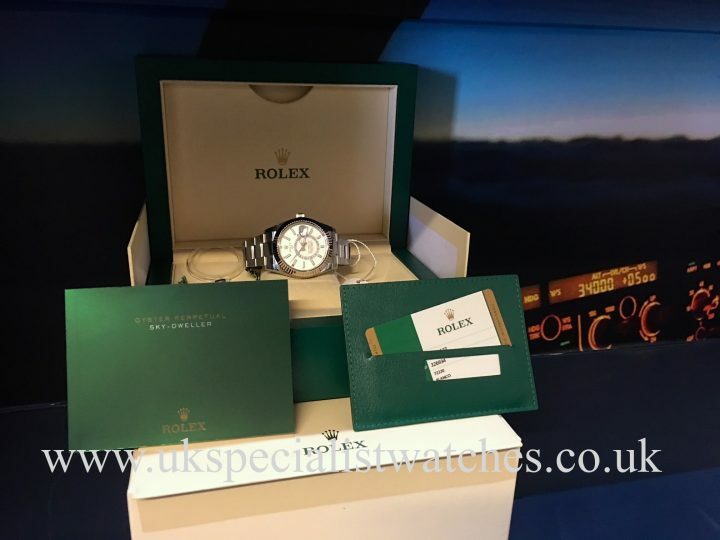 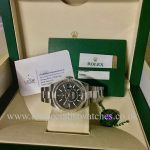 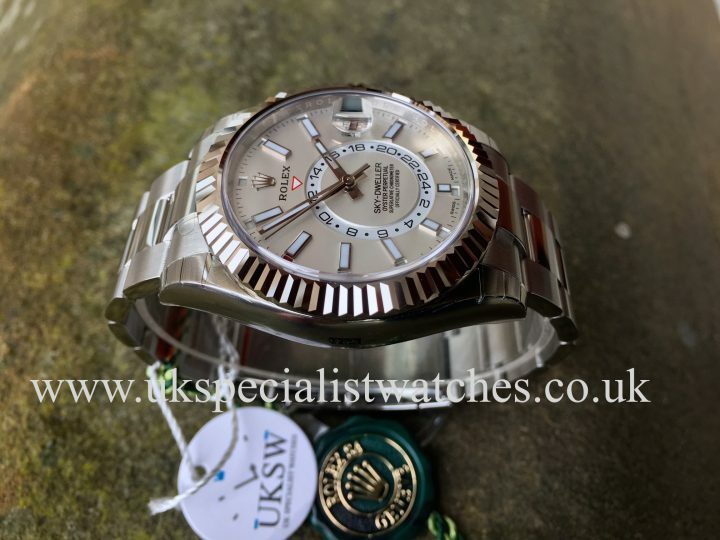 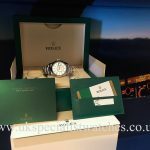 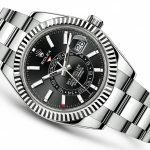 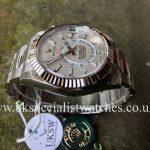 Our totally brand new Rolex Sky-Dweller comes complete with all original box and papers. 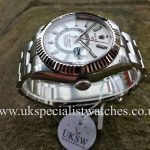 Supplied NEW on September 6th 2017. 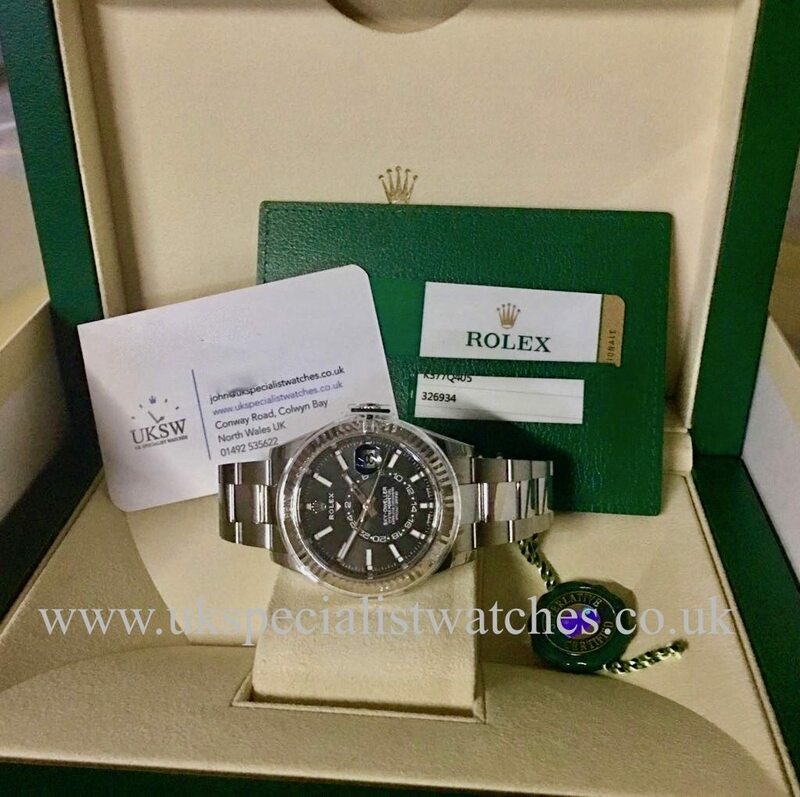 We also have a BLACK dial instock.